We are raising the bar again! 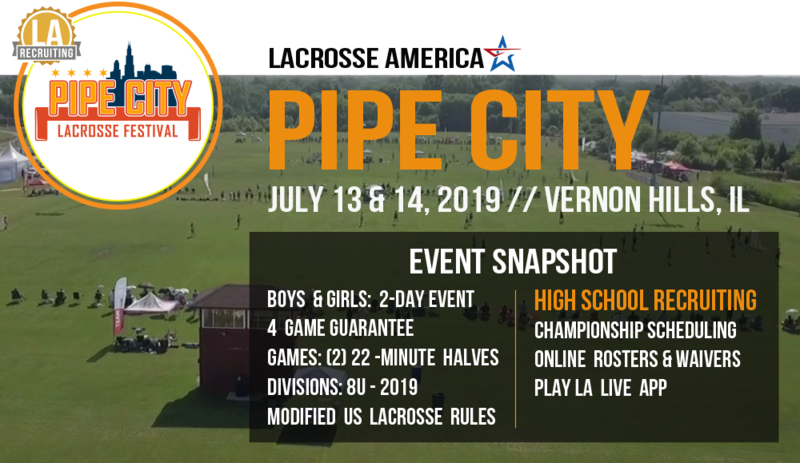 Pipe City 2019 will be a RECRUITING EVENT for all High School Divisions. At the Midwest’s largest single-site event, you can expect 600 games of lacrosse, over 6,000 athletes, 50+ college coaches, and 36 fields! 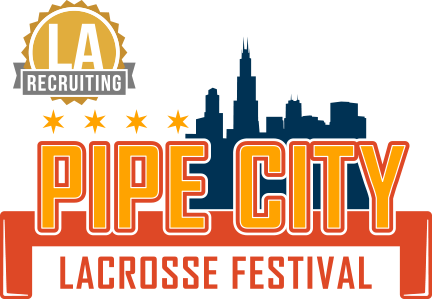 Pipe City Lacrosse Festival is the must-attend event of the year! Elite Facility - Full Size Fields - All in ONE Location. Rain or Shine, we are here to play! The Leahy Family Foundation was established in 1996 by Virginia K. Leahy. The Foundation is committed to improving quality of life. All proceeds from the Pipe City Lacrosse Festival concessions will be donated to the Leahy Family Foundation in order to provide additional funding to these commendable organizations. Click here for the Pipe City Concessions menu. If you are interested in volunteering for the Leahy Foundation at this year's Pipe City event, please contact Paula MOtzny at pmotzny@americanhotel.com.